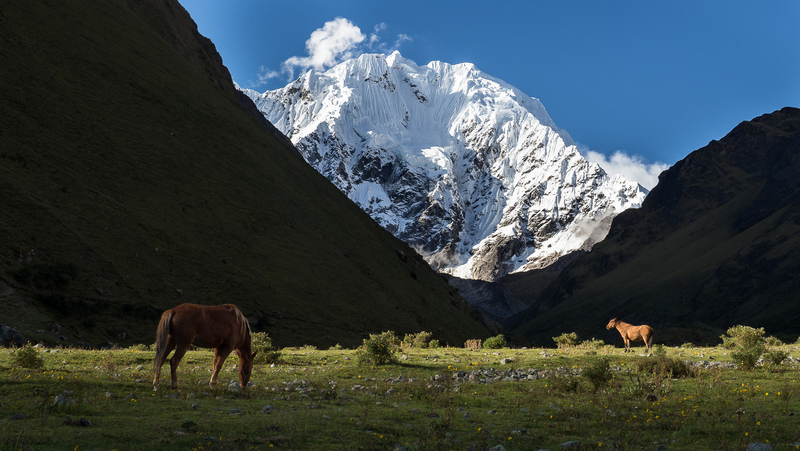 These images are part of the Salcantay trek. It is an alternative way to the traditional Inca road to reach Machu Picchu. The trek can be done comfortably in 5 days. For nature lovers, away from the very frequented trails, it is an excellent alternative. The start of the trek is from Cusco to Mollepata and Soraypampa by bus where the tour begins.